In 1881, Winslow Homer, a modestly successful painter in watercolours who had been living reclusively in Gloucester, MA, travelled to England to study the work of JMW Turner. He then lived for over a year in the traditional fishing community of Cullercoats, Tyne and Wear, in the north-east of England. 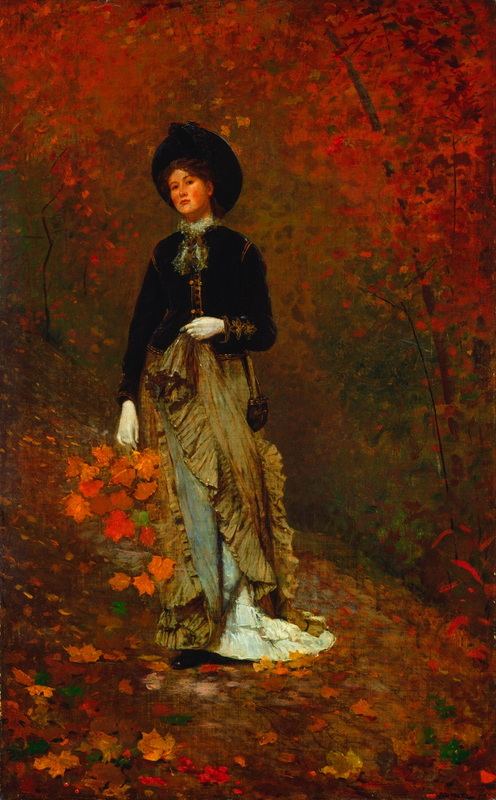 While he was there, his style transformed, so that when he returned to the US at the end of 1882, he had become one of the greatest watercolour painters, and a major American artist. 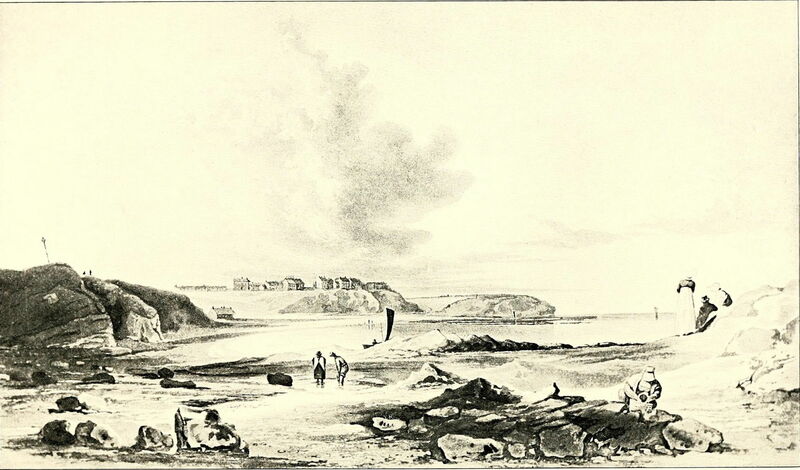 This short series of articles looks at Homer’s paintings of Cullercoats, the narratives within them, and the stories that they told together, as a group. In this first article, I outline his biography beforehand, what he set out to achieve, and provide some background information about the area. Born in Boston, Massachusetts, in 1836, his mother was a fine botanical painter in watercolours and his first teacher. He moved to the leafy suburbs of Cambridge at the age of six. He was later apprenticed to a commercial lithographer in Boston for two years, then set up as a freelance illustrator in 1857. He supplied illustrations of life in Boston and the countryside around to Harper’s Weekly and other magazines, for the rapidly growing market. In 1859 he moved his studio to New York, where he took classes at the National Academy of Design and learned fine art painting too. He first read about Chevreul’s colour theories in 1860. He was sent to the American Civil War from 1861-5, where he made three trips to the front, sketching military life and battle scenes. His painting Home, Sweet Home (1863) was well received when exhibited at the National Academy. He spent the year 1867 in France, where he concentrated on landscapes and rural life, and illustrations for Harper’s Weekly showing life in Paris. 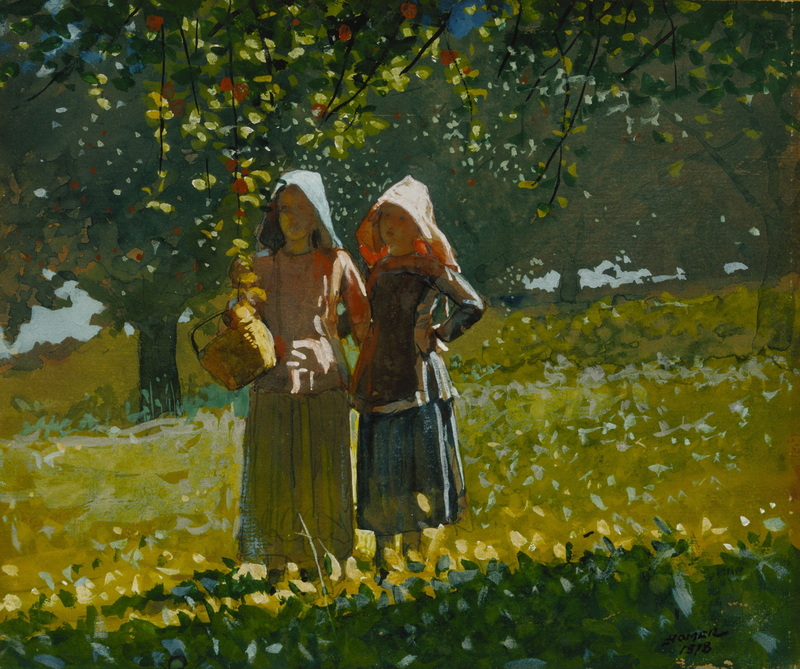 On his return to the US he painted more rural and coastal scenes, and his brushwork loosened up. During the 1870s he gave up illustration to concentrate on watercolours, which became his preferred medium from the summer of 1873, when he stayed in Gloucester, MA, which was then the busiest seaport in the US. At first the critics were disparaging of his watercolours, but they were popular and sold well. He also developed and frequently used a wide range of techniques, including the use of both transparent and opaque watercolour, thin layered washes, scraping, texture, resist, splattering, and even abrasive paper. From 1877 he exhibited regularly at the Boston Art Club, where his watercolours achieved recognition, although he became more reclusive, living in Gloucester, MA, and at one time in Eastern Point Lighthouse. During this period his watercolour painting progressively shifted from using opaque colours to ‘transparent’ ones, in his effort to improve. He resolved to travel to London to study the watercolours of JMW Turner, then considered to have been the greatest landscape artist of recent time. Homer had seen Turner’s Slave Ship (1840), which was one of his few paintings in the US at the time, and was aware that Turner had undertaken extensive studies of colour, a subject which remained dear to his heart. In the autumn of 1880, Homer sold as many of his works as he could to raise the funds for his travel to, and stay in, England. He first went to London, where he studied more than just the unique collection of Turner’s paintings, as he signed in to access the British Museum’s huge collection of watercolour works too. He seems to have completed his studies in London by late March 1881, and then went to the fishing community of Cullercoats to paint. He stayed there until early November 1882. Although it is believed that he rented a house in the village, when he first arrived (at least) he lived in room 17 of the Hudleston Arms. This building was demolished in 2005. He also used a studio just across the road, at number 12 Bank Top, which was demolished in 1930. However, a lot of his painting there was started, if not completed, en plein air. Photo of Cullercoats Bay, 23 May 2012. By Phil Sangwell from United Kingdom, via Wikimedia Commons. 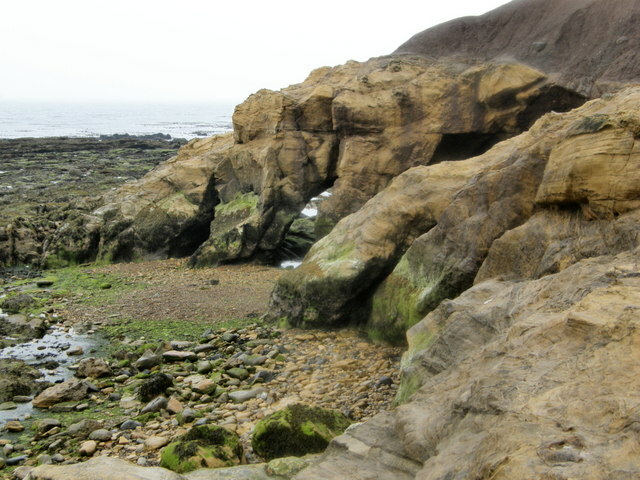 Photo of Smuggler’s Cave, Cullercoats, 14 August 2007. R J McNaughton, via Wikimedia Commons. 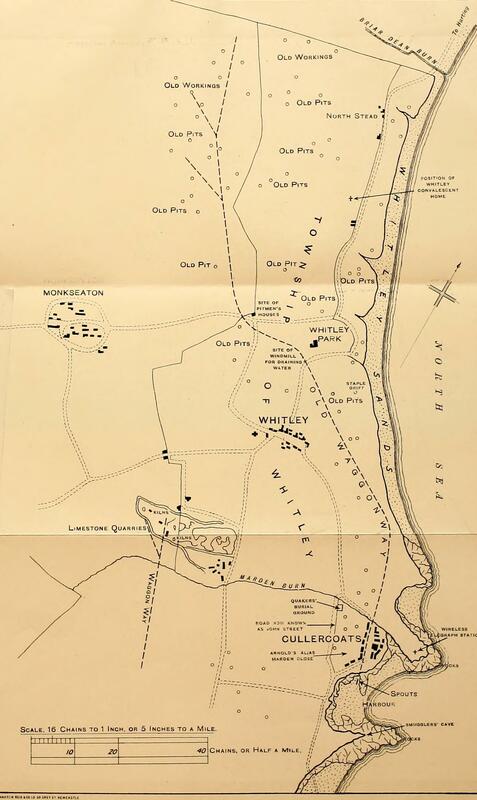 Map from “A history of the Dove family : and their descendants in connection with Cullercoats, Northumberland” (1910), WH Hudleston, JJ Lish, A Meek, A, Newcastle upon Tyne : Printed by Andrew Reid & Company (for Armstrong College). Wikimedia Commons. 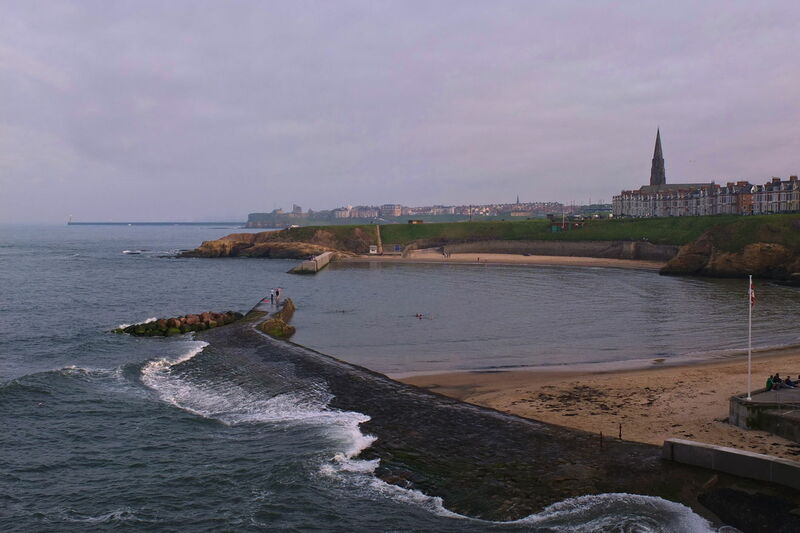 Although now part of an urban area which sprawls from Tynemouth to Whitley Bay, in 1881 Cullercoats was a small village of around 2,000 people who were almost entirely dependent on fishing. This was carried out by the men and boys from wooden boats of a regional design known as cobles, which are open-topped and provide no shelter for the crew. Illustration from “A history of the Dove family : and their descendants in connection with Cullercoats, Northumberland” (1910), WH Hudleston, JJ Lish, A Meek, A, Newcastle upon Tyne : Printed by Andrew Reid & Company (for Armstrong College). Wikimedia Commons. During the 1800s, piers were built on each side of the harbour to shelter many of the cobles, but with around 80 being used actively for fishing, many were still launched from the beach. In 1848, a coble carrying a pilot out to board a ship capsized, and all her crew were lost. The local landowner of the time, the Duke of Northumberland, provided funds for a local lifeboat which was manned by volunteers from the fishermen, but the following year that lifeboat was lost with all twenty crew. The Duke sponsored a competition to devise a self-righting vessel, which was brought on station in 1852. A proper station building was completed in 1879, and the local railway reached Cullercoats in 1882. Will ye buy, will ye buy, will ye buy maw fresh fish? Will you buy, will you buy, will you buy my fresh fish? 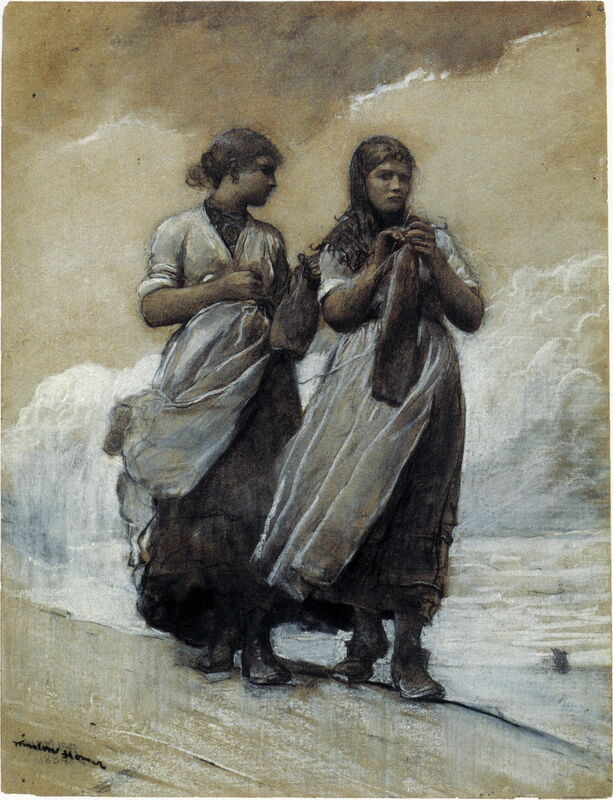 Homer probably stumbled across Cullercoats in the watercolours and illustrations of John Dawson Watson (1832-1892), whose work showing the fisherfolk of Cullercoats was quite well known at the time. Watson’s illustrations for books and illustrated newspapers also reached around the world, and it is possible that Homer had come across his work when he had been an illustrator. From around 1870 onwards there were a few artists who frequented the village, although it never reached the scale of being an artists’ colony. Others included Henry H Emmerson, Arthur H Marsh, John Falconer Slater, and Ralph Hedley – none as well-known as Homer even at that time. My next article will consider one of the most enduring themes of Homer’s paintings of Cullercoats, the women who watched for the safe return of their men. Here is a taster. 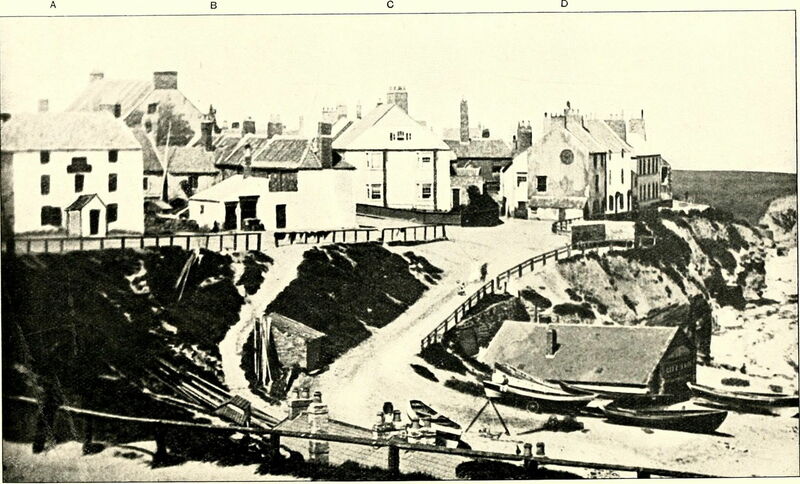 Cullercoats local pages, with history and many old images. Posted in General, Painting and tagged Cullercoats, Homer, Impressionism, painting, Turner, watercolour. Bookmark the permalink. brilliant works, ive not long lived in cullercoats , but find it fascinating to read homer lived here too. Thank you. I imagine that it’s a bit dark and stormy now, but must be beautiful in fine weather.